Bocce Competition Participate in the 2nd Annual Arkansas Italian Food and Culture Festival Bocce Competition on April 27-28th! Whether you’ve never heard of the game or are a competitive champion, you won’t want to miss out on this exciting game! 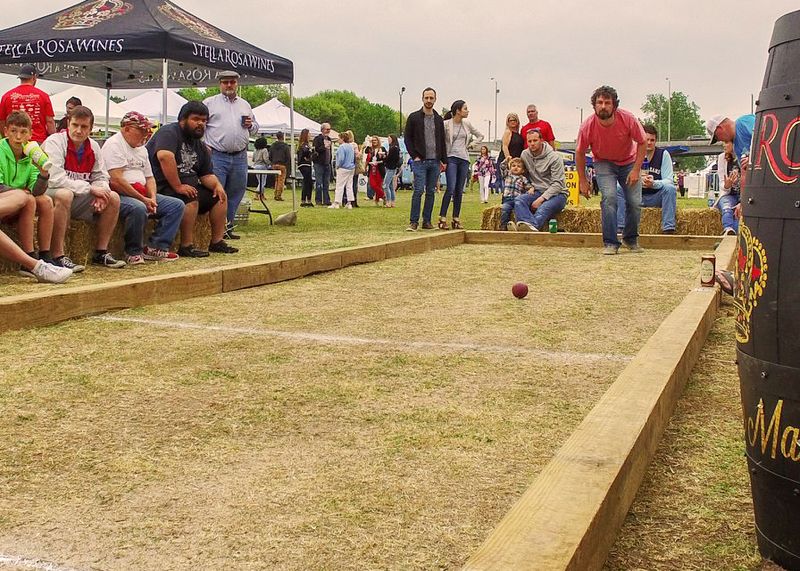 Official Bocce will be played on Saturday and Sunday but festival goers are free to play during the competitors practice round on Friday night. Get ready for an awesome bocce tournament. Registration is $75 per 2-person team–there is a maximum of 2 people per team. Be sure to share a cell phone number so you can receive text message updates about play times. After completing, paying for, and submitting your registration, a copy of this form will be shared with you via email. The form must be completed and provided to Festival Staff before your team’s game begins to be permitted entry.